Friday News Roundup: Addictive Oreos, HR and social media, and more! Every week we round up the major news from the HR and training fields to present to you. This week, there were plenty of interesting stories to choose from. Check out our stories on standing at work, HR and social media, and more! This infographic from BLR and SuccessFactors outlines the ways in which HR departments are using social media. Unsurprisingly, recruiting is the top use for Twitter. 60.3% of HR departments surveyed say their use of social media will increase next year, while only 0.3% say it will diminish. HR pros had a lot to say about how they use social networking: brand reinforcement, wellness initiatives, giving employee recognition, and viewing trends, among many other things, were mentioned. Oreos just as addictive as cocaine? 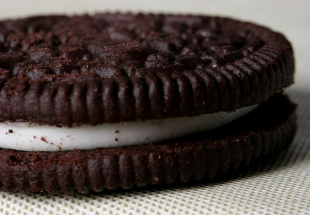 New research shows oreos may be as addictive as drugs of abuse, such as cocaine or morphine. Researchers from Connecticut College have been studying the behavior and brains of rats taught to run through a maze to a room where they were injected with drugs or a placebo; rats injected with drugs stayed longer in the room than those injected with a placebo. Oreos had a similar effect, both on behavior and on the brain—the nucleus accumbens reacts in a similar way to both cocaine and oreos (an example of high sugar, high fat foods). Oreos are delicious, but may also be addictive. A new study from the BBC and University of Chester asked volunteers to stand for at least 3 hours on certain days and sit for the entire day for others. They measured movement, heart rate, and glucose. Results show standing helped glucose levels return to normal after eating much more quickly and raised heart rate causing volunteers to burn more calories per hour, equal to running 10 marathons annually. While this is a small study, it shows getting up out of your chair can help—it’s inspired me to try a new “standing desk” setup in our office! Would you use a .career address? The Internet Corporation for Assigned Names and Numbers has approved a number of new internet domain extensions. On the list: .NYC, .Mormon, .party, .singles, .menu, and .career. As an alternative to the exclusive .jobs extension, .career is open to everyone and hope “to further provide marketing opportunities and domain names for registrants to promote and provide career, job, human resources, and employment-related information.” Prices are expected to be competitive; will you try a .career domain name?